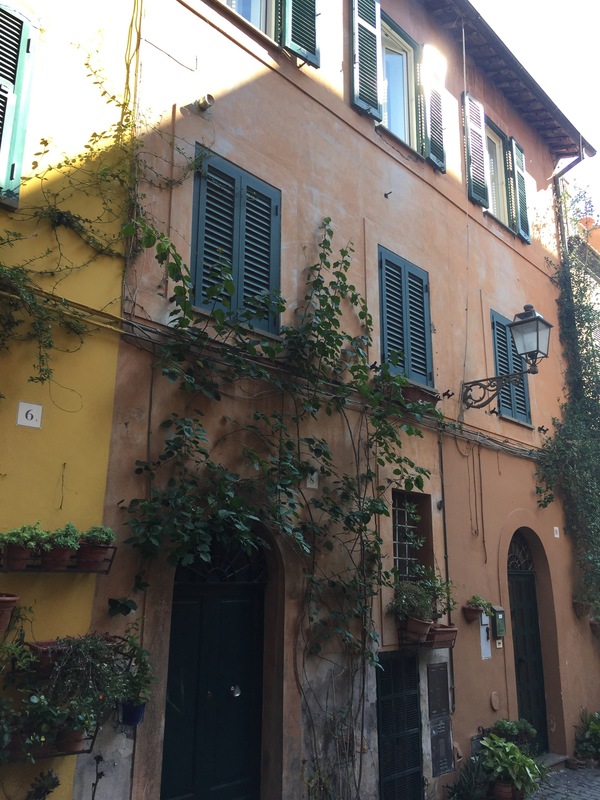 Desperate to escape the hum of epic Rome, and recuperate a little after days of solid walking around touirst attractions, we used our online databases of site to find something about an hours or so drive out of Rome…. Really both of us now crave a little of Italy without the tourists, Who wouldn’t ! With site reviews not promising much more than a peaceful afternoon and a nice nights sleep we thought ok, that fits the bill. The Sosta we had indentifid was about 250 meters out of the city walls and offered Free parking, water, waste and sparks. But what we found was the total opposite, About an hour and a half north of Rome, 20km south of the Tuscan border. 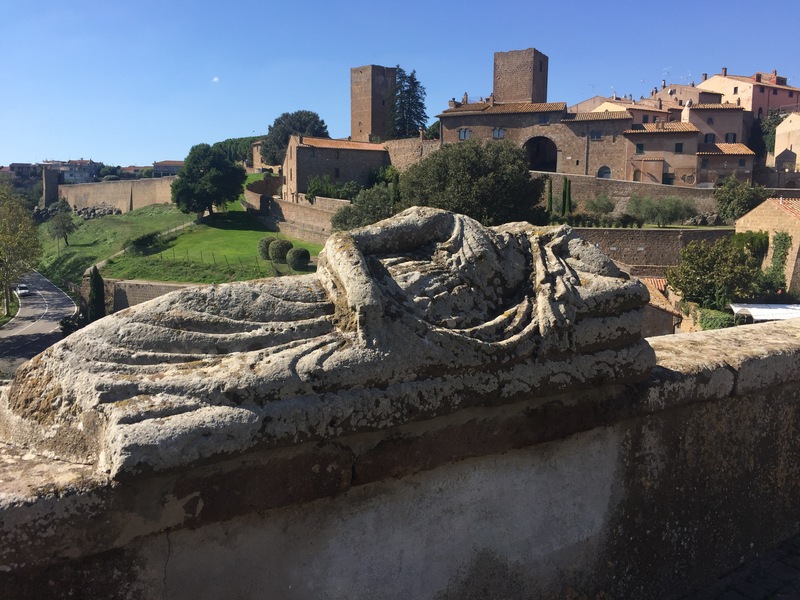 Tuscania is a 2500 year old town in a quiet corner of Lazio. And no, it’s not in Tuscany. 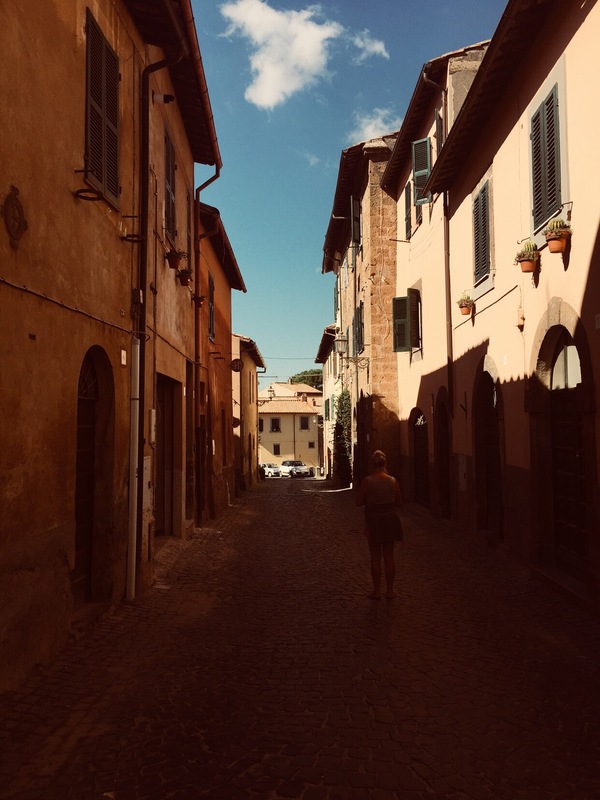 This corner of Lazio is largely overlooked by the hordes that ‘hit’ all the ‘must-sees’ of Rome before dashing over to Tuscany to see the ‘top sites’ of Tuscany. But Yet it is as rich in attractions and sights as anywhere else in Italy. A ruined castle on a hill? Check. 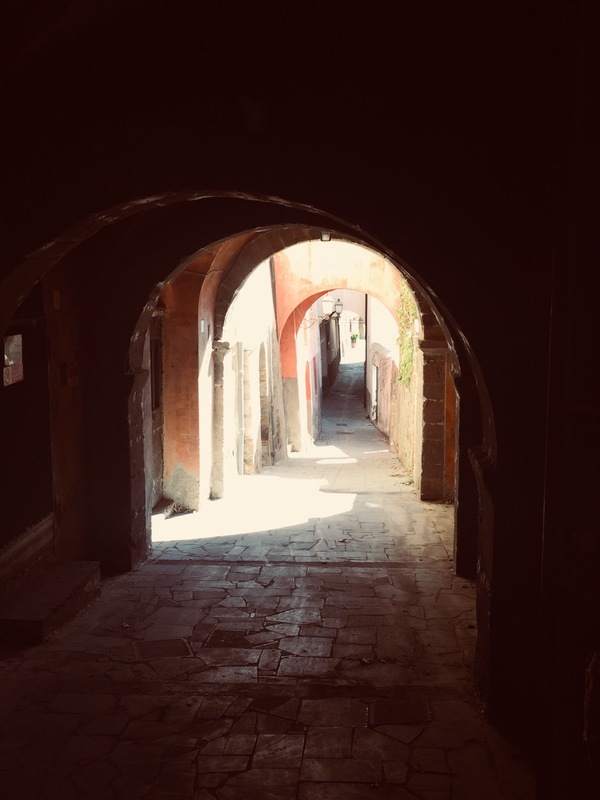 A walled Centro Storico? Check. A Free Sosta ? Double check. Almost always confused with the region of Tuscany most people think somebody made a typo when they see the name ‘Tuscania’. This works to our advantage. 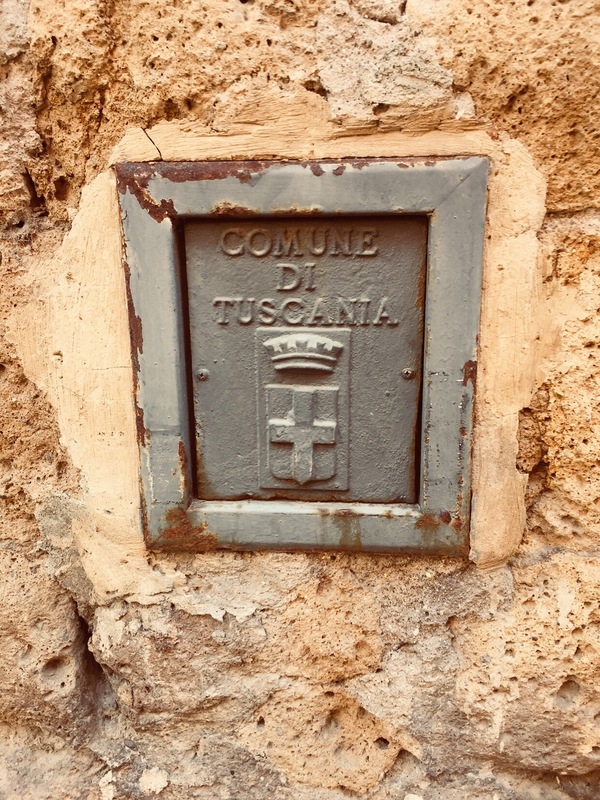 Mostly overlooked the town of Tuscania offers a little slice of Italy with all you could ask for……. Having spent some time here, I can’t see why its been UNESCO’D to death and protected, but no thus is just an everyday Italian city. All around the area you find places where the Etruscans buried their dead in tombs carved out of the rock. These tombs contained large sarcophagi, often with beautifully carved stone lids showing the deceased. Most places these would be musem pieces but the reality is that they have found so many of these that they didn’t quite know what to do with them. So, in an stroke of genies they decided to simply spread them around town. 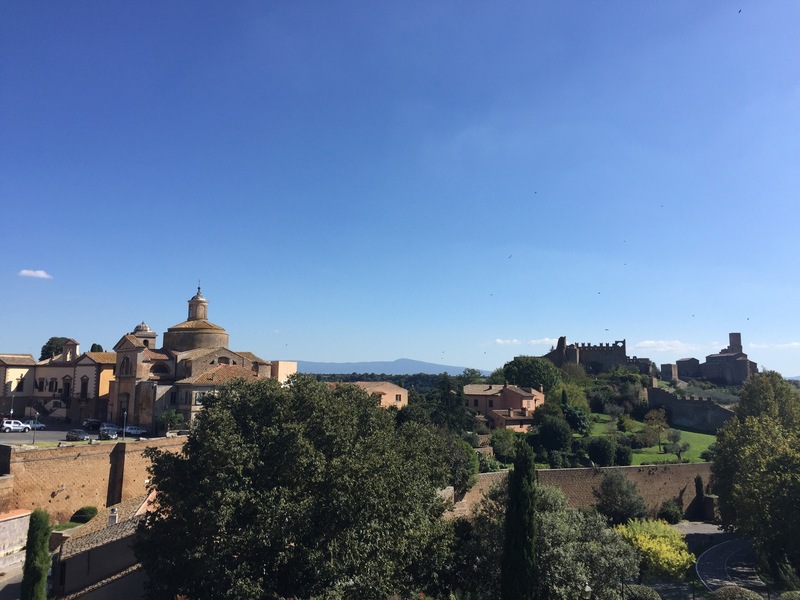 Tuscania is situated in the middle of a national park, which ensures that the town is surrounded by green fields. 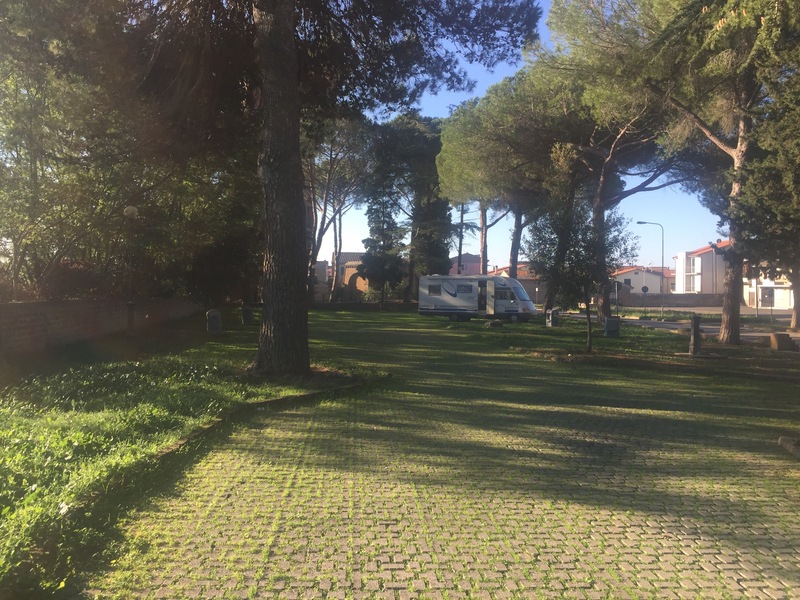 To make the most of it, we headed off to the Torre di Lavello park, next to the tower and join local teenagers being very European and just enjoying themselves while taking in one of the best views in Italy. Stopping off on the main square with the sun beating down on us enough that we’ve forgotten it’s already the middle of October we enjoyed a Picnic with a fabulous view…. The perfect restbite to the hectic time in Rome! ← When in Rome, do as …….